But it’s awfully helpful, isn’t it? 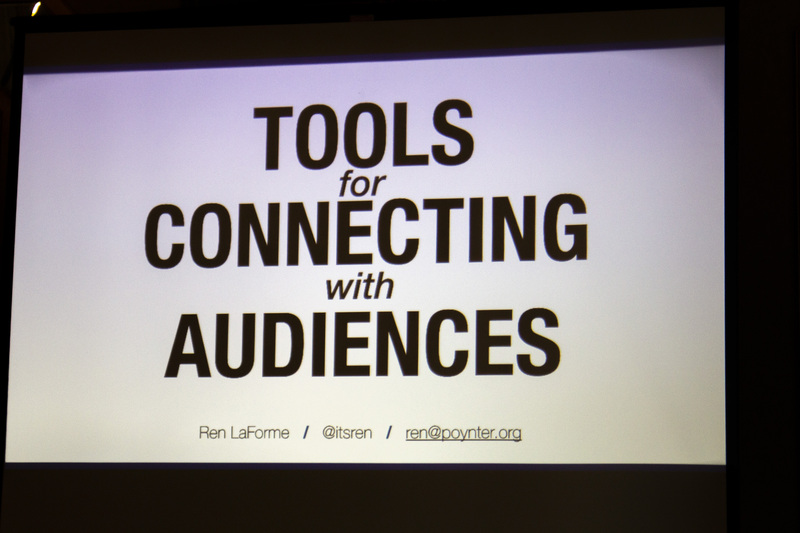 Ren LaForme of the Poynter Institute shared this metaphor early on in his presentation about digital tools -- and it set the tone for a presentation at the TOCA annual meeting full of useful tools for journalists and marketers. 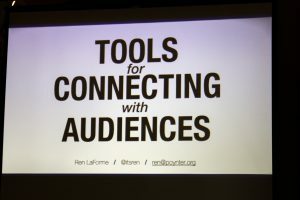 No tool is going to turn you into a good storyteller, but a unique digital tool can help take your story to the next level. 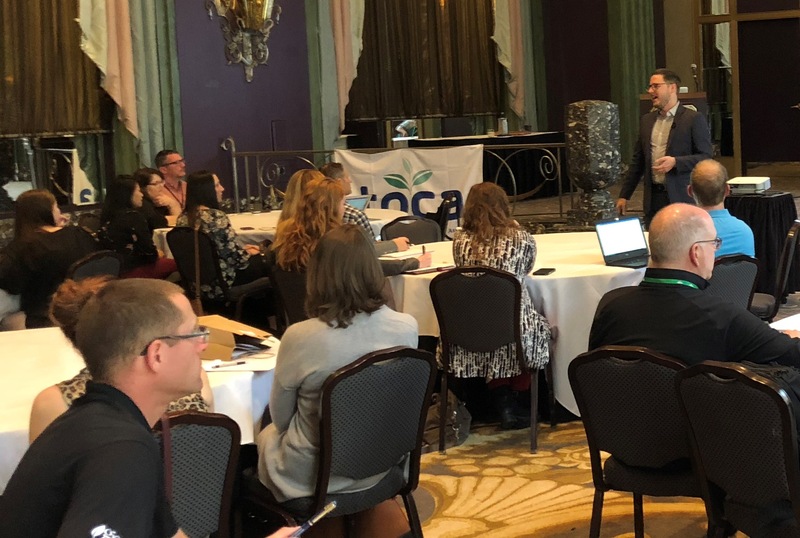 LaForme challenged the room full of marketers and journalists to ask the question: “Is there a better, more interesting way to tell this story?” Then, he gave us some ways to make that possible. He said that many people don’t use digital tools because of money, time or because of the “haters” who denounce them, but the tools he shared are almost all free, and actually save you time in the long run. The first chunk of tools all came from Northwestern University’s Knight Lab. They centered around engaging the reader or viewer in your story. LaForme reminded us to always think of the audience. What would make them understand the story better? What would catch their eye or keep their attention? StoryMapJS: This tool helps you illustrate events or locations on a map to tell your story. If you’re showcasing fun nightlife spots in a city or highlighting the memorable holes on a golf course, this can be an engaging visual element. SceneVR: Zoom in to different parts of a photo to immerse yourself in the details. TimelineJS: Similar to StoryMap, but organized in a horizontal timeline. JuxtaposeJS: Compare two images with a slider function, best used for before-and-after type stories. 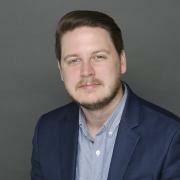 SoundciteJS: This tool puts audio into a hyperlink right in your story so you don’t have to break up the layout with what looks like a banner ad. Verse: It features all kinds of applications, including Q&A organization, chapters, and clickable “hotspots” on videos. Videoshop: It’s intuitive mobile video editing when you’re putting together content on the go. Videolicious: Add in b-roll to a story in real-time. Clips: Automatically adds captions to your videos that you can edit. Tetra: This app records your phone conversations and transcribes them for you, perfect for phone interviews. Trint: This one does the same thing as Tetra, but for videos instead of phone calls. Descript: If you’re editing audio, it transcribes it and then you can edit it based on the words instead of the sound file. It’s like magic. Calendly: Regardless of what kind of email service you have, Calendly helps send seamless meeting invites, or time frames so you can plan meetings better. As he wrapped up, he gave some final tips on how to get buy-in from your team on adopting some of these tools. First, he simply said to try it. There’s nothing like hands-on experience, and you won’t know how you like it or benefit from it until you try it. Also, LaForme recommended committing to a trial period. More people will be willing to test something if there’s a defined trial period (three months, two weeks, whatever you decide). Lastly, you need to debrief on it after the trial period to hear people’s honest feedback. When we use tools that make our stories—or our clients’ stories—more interesting and help us be more efficient and effective, we do better work and we’ll feel better too. And we can all get behind that.